It's nearly Christmas! 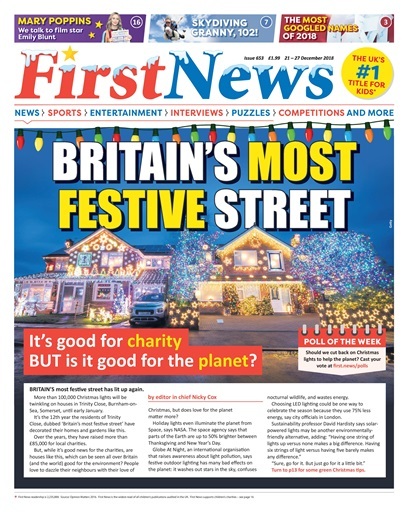 Ahead of the big day, we're hearing about some wacky Christmas traditions, finding out about Britain's most festive street – and asking you, should we cut back on Christmas lights to help the planet? 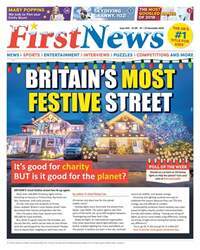 Elsewhere in the issue, we're finding out about the most googled names of 2018, a 102-year-old skydiving granny, and we're chatting to the star of Mary Poppins Returns, Emily Blunt!